Need more information about booking Home 6254239 ? Chalet La Source is a new beautiful boutique chalet with jacuzzi hot tub, in the much sought-after Brevent area. This Chamonix chalet has stunning views overlooking Chamonix and facing Mont Blanc and is set in beautiful quiet surroundings. Chalet La Source has a modern designer kitchen in the open plan living area, which also comprises the dining area with seating for 8 and a cosy sitting area with TV and French channels. The large windows on 3 sides give spectacular views of Mont Blanc and the surrounding mountains. The Chamonix chalet also has 4 bedrooms and 4 bathrooms - 3 ensuite shower rooms and one adjacent bathroom with bath and overhead shower. Each bedroom also has a TV with French channels. 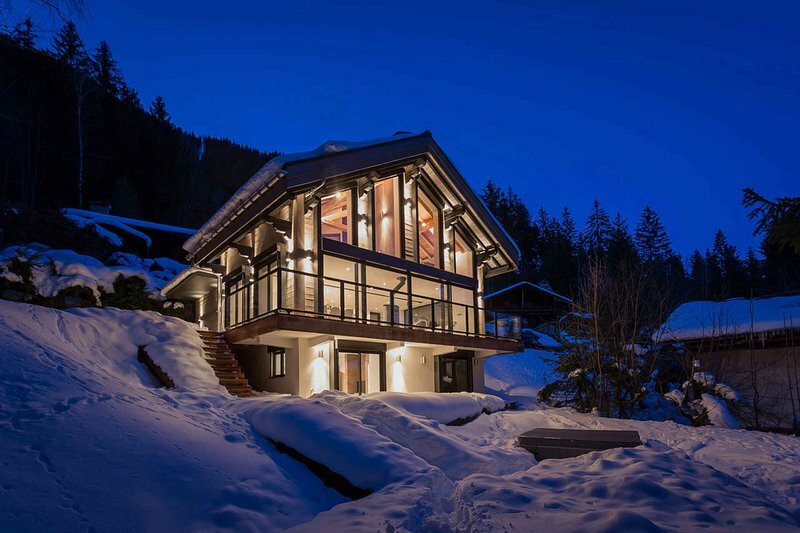 This Chalet has 4 bedrooms, 4 bathrooms and sleeps 8. It’s been listed on Holiday Lettings since 17 Mar 2015. Located in Haute-Savoie, it has 3 reviews with an overall rating of 4.5. The average weekly rate varies from £2468 to £8286.